You've come to the right place if you are in search of phono preamps, speaker/source selectors and NAB hub adaptors for 10.5" reel-to-reel machines. Credit card purchases can be made securely using the online payment options found on each product's detail page. US and Canadian buyers can also pay via credit card or mail order by using our fax and mail order page. We ship worldwide via USPS Priority and First Class Mail; our FAQ page provides full details. Be sure to check out our "Attic" found at the bottom of this page for discontinued and one-of-a-kind items. "Is it in stock??? When will I have it???" Where are the instructions? Silver Finish Advisory; We've recently received several buyer reports that the silver model images on this website do not match the actual color of products they have received. We've looked thru our inventory and must agree; the majority of our current silver finish stock has a definite gold or sepia cast (see at right). Buyers should take this variance in color into account when choosing to order silver versions of our products. Our least costly model, the classic TC-400GL has received a major makeover and upgrade. This new generation is quieter, has flatter response and comes with an external power supply that is usable worldwide, regardless of country. If you're looking for a phono preamp which you can hide behind your equipment and forget, this is it. Simply connect your turntable to the input, connect the output to a receiver /amp line input (CD, AUX, TAPE etc) using the supplied cable, and start listening to your vinyl! 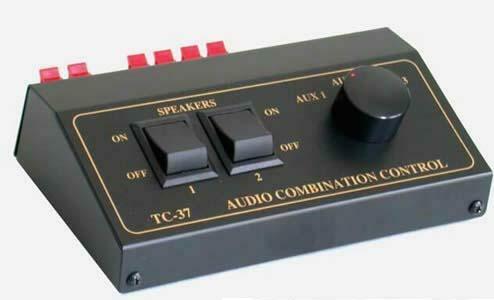 This is an excellent choice for use with music systems, soundbars, and home theater receivers that lack a phono input. With a 70dB S/N ratio and 0.05% maximum distortion, our TC-450 is the only battery-powered model in our lineup. One nine volt battery will run this low current-draw preamp for many, many hours. Or you can use it with the optional power adaptor, just like our other models. Either way, this preamp (both lightest and smallest of any we sell) adds a new measure of flexibility for those of you recording or listening to your albums on the go. The same sturdy metal construction used in our other models provides excellent shielding, noise rejection and durability. This preamp features better specs than the phono preamps built into most component stereo receivers and amps! Improved PCB layout and 1% tolerance resistors resulting in extremely accurate RIAA equalization (coupled with a s/n ratio a CD player might envy) makes this THE choice for use with high-end systems and sound cards. If you're looking to make archival quality copies of LPs on CD-R, or just looking to hear that analog LP sound produced without coloration or added background noise, this is definitely worth the extra ten bucks.... Very nice packaging makes this an excellent gift choice for the audio perfectionist. 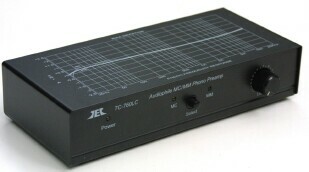 CLICK HERE for the PC World article featuring this preamp. for Use with iPods, MP3 Players, Etc. 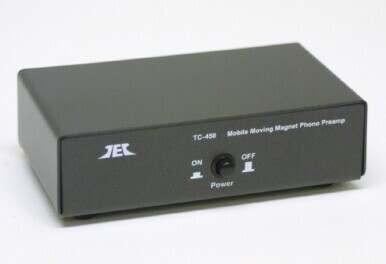 The TC-780i is a tiny (3" x 1.75" x .75") stereo line amplifier designed for either mobile or home use. 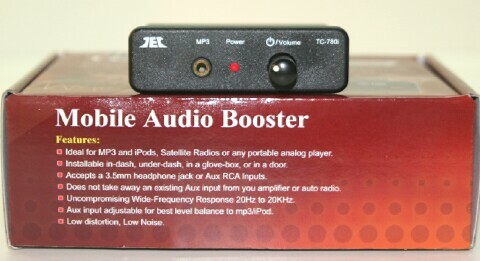 Most users will use it to connect a MP3 player, iPod or other portable audio player to an existing auto or home stereo. Doing so is simply a matter of plugging the player into the front panel jack, and adjusting the level control for best balance. Because the TC-780i provides considerable gain, it can correct level mismatch issues that often cause portable players to be lower in volume than other sources. A second rear panel input (selected automatically when nothing is plugged into the front input) allows the TC-780i to be used even in situations where all available inputs are already occupied. 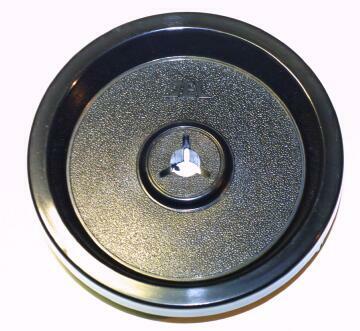 The mobile installation hardware included allows mounting either over, under or in most dashboards. The underdash bracket can also be used to attach to a in-home stereo cabinet or entertainment center, or the TC-780i can simply be set on a shelf. The TC-780LC provides up to 20dB of gain on any line level source, allowing longer cable runs or that "bump" you need to cure low volume issues. Or you can use it to add a volume control between a line level source and a power amp which has no level adjustment of its own. It comes in both black and silver finish, has a front minijack for temporary connection of MP3 players and iPods, and includes a control-mounted power switch. DIN type 5-pin rear panel in/out jacks allow easy connection of older European brand equipment such as Bang & Olufsen,Tandberg and Revox. 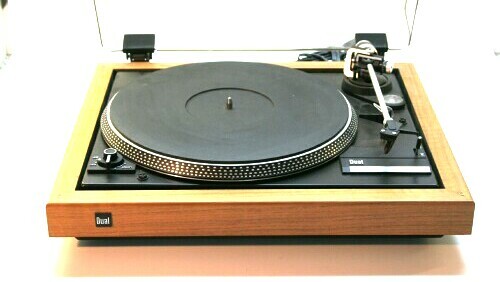 Have a MM cartridge turntable that just isn't loud enough compared to other sources? our line preamp can solve this problem for you; click on the image above to learn how! 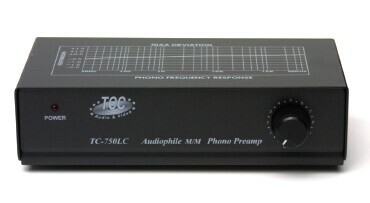 This preamp features stellar phono specs and performance, then adds on top of that the ability to also accept two microphones, either electret (computer type) or dynamic, to allow stereo live recording. Nice retail packaging makes this a super gift choice for the budding musician or recording enthusiast who also wants to listen to to their vinyl collection thru a home theater system or receiver that lack a phono input. A variable level output control and the ability to handle musical instrument pickup, dynamic mic AND phono input signals makes this model very handy indeed. It provides an excellent front end for sound reinforcement applications that don't require the complexity of a mixer but that may require handling varying source and output level requirements from job to job. (and then some) combined in one model! 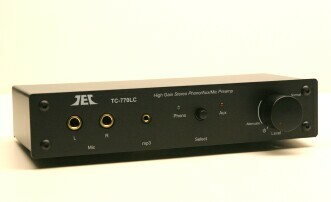 The TC-770LC brings both new features and more sophisticated styling to our extensive preamp line. 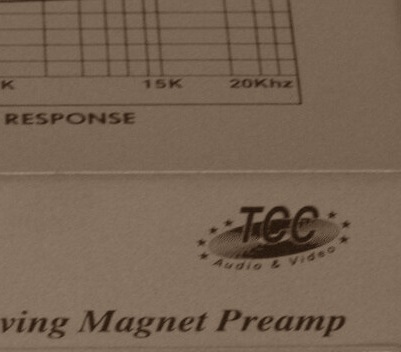 All of our other MM phono preamp models provide the industry standard 38-40 dB of gain, more than enough if your moving magnet cartridge is typical. This preamp is different; up to 60dB of gain is available to deal with lower output MM cartridges that sound great but just aren't as loud as other sources like CD. A front panel iPod/MP3 input with up to 20dB boost allows your portable player to be heard thru your home system without having to crank your stereo's volume control to the moon. And we've included front panel inputs that accept both dynamic and condenser mics, and a rear AUX input that also can be boosted up to 20dB. and switch between them without swapping cables! Have you tried listening to or copying 78RPM records using the phono input on your stereo or an RIAA preamp, and found the result unmusical and harsh? The TC-778 combines our proven low noise stage design found in the TC-750 with the ability to select equalization much more appropriate for playing and recording 78rpm records. Standard RIAA equalization for playing LPs can be selected as well. Dedicated rear input jacks accomodate separate LP and 78 tables; or the same input can be used for both (for those buyers who have one table capable of playing all record speeds). Simply set the rear panel switch to the position (connect or isolate) which suits your situation. Frustrated by the lack of inputs on your minisystem or home theatre receiver? Tired of having to unplug your TV audio or MP3 player whenever you want to play or record an LP? This phono preamp is for you. Our TC-753LC features great specs (equivalent to the much more expensive TC-754) and the output level control feature which has made the TC-750LC our best selling model. Now there's no reason to choose between specs and convenience; you can have both! Need more inputs? Our most versatile model combines exceptional phono preamp performance with three additional aux level audio inputs, then adds an variable output level control. Soft-touch switches control power on/off and source selection. While off, the TC-754 even remembers what source was last selected and reselects it when powered back up. The output level control allows connection to a power amp either directly or through an equalizer; or it can simply be used to fine tune the audio level sent to your computer sound card or receiver. Spectacular RIAA equalization accuracy and a S/N ratio of 85dB make the TC-754 our top performing phono preamp; its additional features are extra icing on the cake! The NAD PP-2 is a great product; for years it has ruled the roost among MM/MC preamps. But our TC-760LC aims to change that. Additional features like an output level control, ability to connect MM and MC turntables simultaneously (selecting between them at the push of a switch), and selectable hi/lo MC input impedance make the TC-760LC far more flexible; superior specs make it better sounding as well. A price well below the NAD provides the frosting on this particular cake! 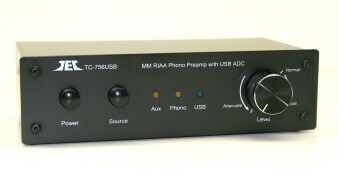 Our new TC-756USB phono preamp is perfect for connecting a turntable to either a Hi-Fi system or a computer. 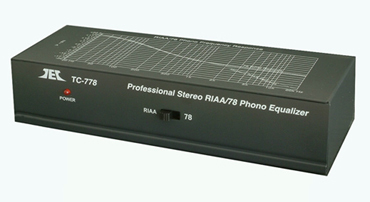 This model features extremely accurate RIAA record compensation, minimal audio distortion, excellent signal to noise ratio, and high overload capability. 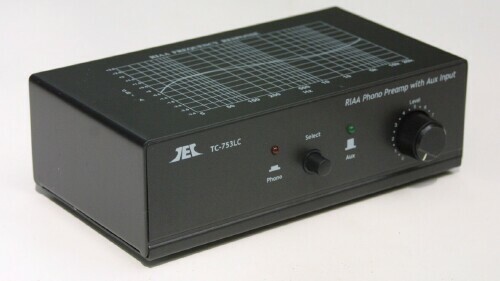 It can be used for digitizing your phonograph records on a computer, adding a turntable to a receiver lacking a phono input, or for connecting a second turntable to a system that has only one phono input. Compatibility with Windows, Apple and Linux operating systems makes connections simple and quick. This model allows you to connect up to five pairs of speakers to a stereo originally equipped to support only one or two pair. One or five or any combination in between can be selected to play at once. Power rating (per channel) is 50 watts; a headphone jack and output protection against shorts are also provided. This model allows you to connect up to four pairs of speakers to a stereo originally equipped to support only one or two pair. One or four or any combination in between can be selected to play at once. Power rating (per channel) is 200 watts, so really big amps and receivers can be connected. This versatile switcher allows you to connect up to five stereo aux level sources to one input. One or five or any combination in between can be selected to mix and play at once. Unused inputs can be "reversed" and used as outputs to additional amps or recording devices. Four jack sets are RCA type; the remaining two are 3.5mm stereo minijacks (the kind found on Discmen and MP3 players). 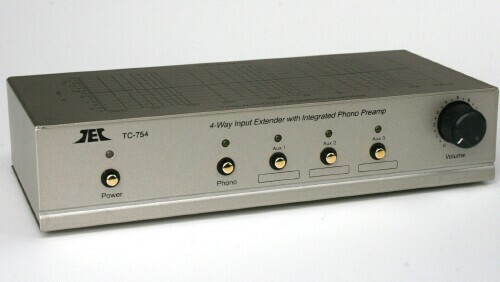 This model allows the connection of up to three stereo aux level sources to one input on any mini-system or home theatre receiver. 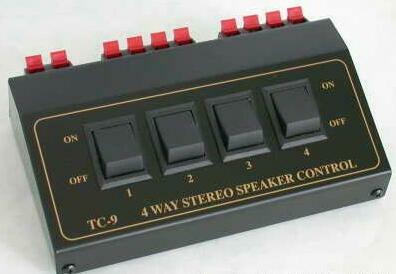 It also allows you to connect and select between two pair of speakers, even if your stereo only has one set of outputs. 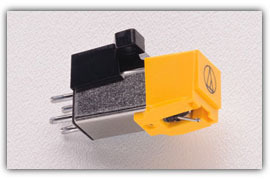 The speaker switch portion can handle amps and receivers rated up to 200 watts per channel. This unit is totally passive and requires no power. If you've been looking for a way to select between several stereo amps or receivers to power just one pair of speakers, this is for you. If instead you need the means to select from several pairs of speakers for comparison purposes, the TC-616 can do that too. Commercial duty products that can provide these abilities cost hundreds of dollars and are usually meant to be rack or custom installed in audio store displays; ours will work anywhere, without special plugs or connectors. 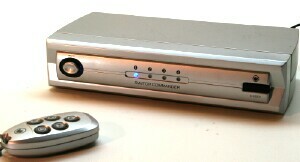 Both of these switchers feature four inputs and the ability to convert S-video signals to a composite video output. Add more inputs to to your current monitor/TV; one of these even can be used with analog TVs that have no inputs other than an antenna jack! 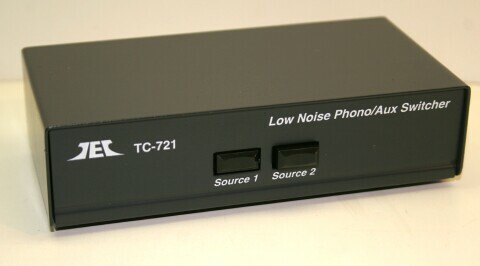 Unlike conventional source selectors, the TC-721 can also be used with phono level signals. 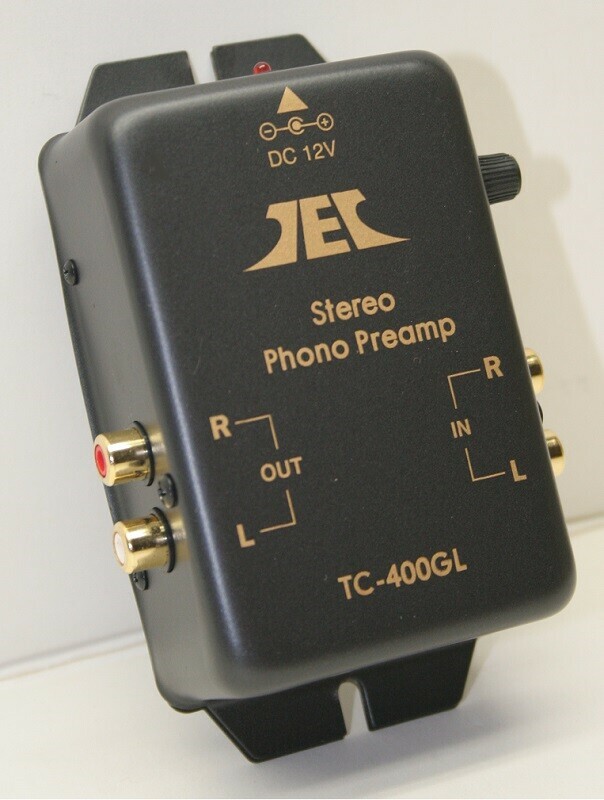 This allows two turntables to be connected to the same phono preamp (or phono input on a receiver). Because both the positive and neutral signal lines for each input are switched, superior isolation and loop hum rejection is provided if used for switching line level (CD, AUX, TAPE etc) signals. Too many sources and not enough analog inputs? No open input to connect your new phono preamp and turntable to? The TC-781 insures you'll never have these problems again, providing EIGHT stereo inputs while only utilizing one on your stereo. We supply labels so you can easily designate and remember which switches control your various audio sources. All switches are interlocked; selecting a new source releases the previously selected input. This unit is totally passive and requires no power. These are BRAND NEW (custom-made for Phonopreamps.com) clamp-type NAB reel hub adaptors that fit Pioneer, Akai, Tascam, Fostex, Teac, Tandberg, Revox and other 1/4" reel-to-reel decks that take 10.5" reels and have spring-loaded or locking reel retainers. They are exact copies (except for the brand name logo) of the adaptors which were supplied with a number of Teac models. This is a "reel" hard item to find, but we have them! this fits any P-mount turntable! These are items from our attic; discontinued models, leftovers, and nifty oddball stuff that needs a home. Here you'll find vintage audio and test equipment, recording stuff and the occasional piece of photography gear. CLICK HERE or on the images to see what's new!